Shari and Ryan started out their Center City Wedding at Old Saint Joseph’s Catholic Church. Their family and friends gathered to watch the two start their lives together as husband and wife. After the ceremony, the newlyweds and guests relocated via trolley to their reception at the Downtown Club. A burst of petals rained down on the two as they shared their first dance as a married couple. During the reception, there was no shortage of nice words to say about about the couple’s strength and love for each other. Everyone that attended knew Shari and Ryan were always meant to be, and that their love would lead to this day. 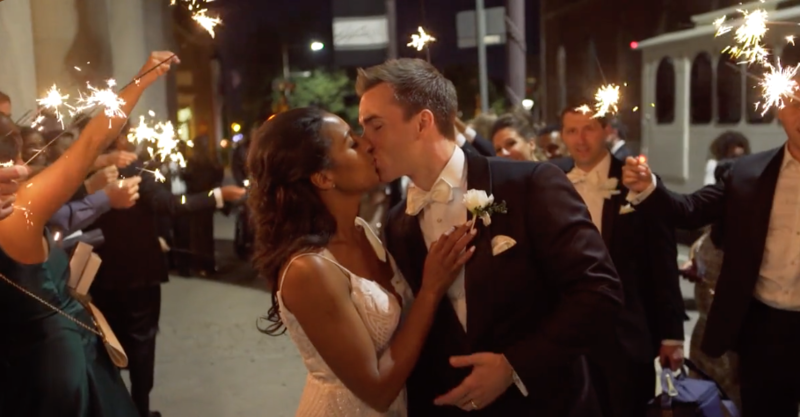 Check out their Center City wedding video below, courtesy of Allure Films, showcasing Shari and Ryan’s joy and spark on their special day. Congratulations to the lucky couple!